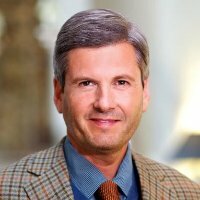 Mark Froehlich has over 30 years of experience in risk management and value creation. Mr. Froehlich is currently the Founder & Principal of Impact Partners Global, a risk management and business advisory group that also manages Aegis Alabama Venture Fund, a CAPCO fund that invests in private companies based in the state of Alabama. Prior to Impact Partners Global, Mr. Froehlich was Treasurer of Thompson Tractor Company, one of the largest Caterpillar dealers in the United States. Earlier in his career Mr. Froehlich was Vice President of Thompson Investments, where he was responsible for the alternative asset investments for the firm. His responsibilities included making direct investments as well as selecting private equity, venture capital, and hedge fund managers for the firm. Mr. Froehlich is currently the Co-Chairman of the Integrated Systems Center at the University of Alabama at Birmingham’s School of Engineering and is a Financial Advisor for the Society for Design & Process Science, a global institute made up of engineering professors from all different engineering disciplines. Mr. Froehlich was previously on the board of directors of Secureworks, Inc. which was acquired by Dell in 2011. Mr. Froehlich holds a BS in Business/Business Law from the University of Alabama and a Master’s in Public and Private Management from Birmingham Southern College. As an aligned Operating Partner, Mr. Froehlich assists Star Mountain Capital with strategic advice, thought leadership and insights to help the firm and its portfolio investments maximize value.